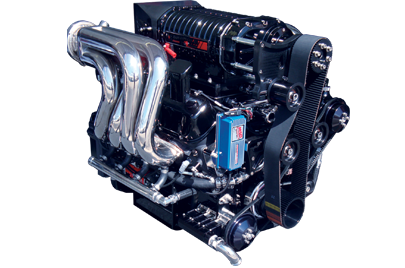 The veteran of the Teague Custom Marine engine line, the 825 EFI traces its lineage decades back to the TCM 800 Carb. With proven 500 plus hour run time durability and a staggering 900 lb/ft of torque output, the 825 EFI is a true workhorse! Based upon a standard deck World Merlin 3 Billet Splayed Main Caps block, with a Callies Magnum crankshaft, Manley H-Beam connecting rods, Brodix BB2Xtra proprietary CNC Aluminum Cylinder Heads, and TCM Platinum stud roller rockers, the 509 cubic inch TCM 825 EFI is configured for maximum value per horsepower, without sacrificing performance or durability. 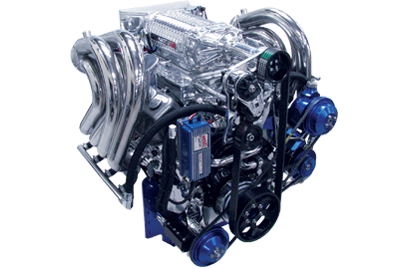 New additions include a fully integrated Aeromotive fuel system on the engine, which supplies the 3.3L Whipple Twin Screw Supercharger. 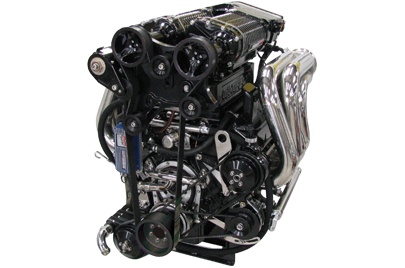 This engine comes standard with top shelf CMI Stainless Steel Water Jacketed Headers and a Cupronickel Whipple intercooler, which are fed by the finest full stainless steel twin stage water pump from Latham Marine. 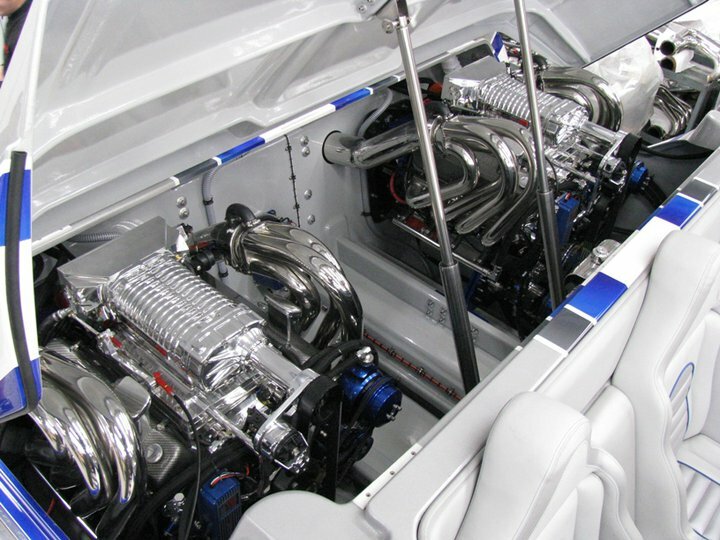 Featuring high RPM rated, short travel Johnson hydraulic lifters, and a proprietary LS1 firing order camshaft, maintenance is kept to a minimum and valve lash adjustments are eliminated. 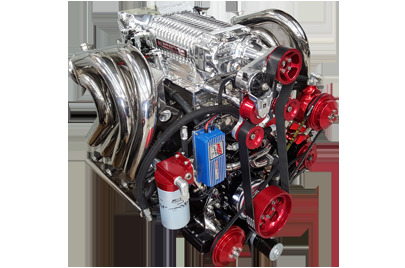 The TCM 825 EFI is finished with fully color matched billet aluminum accessories and custom plumbing, with combined custom supercharger and valve cover powder paint options for a truly custom engine installation.